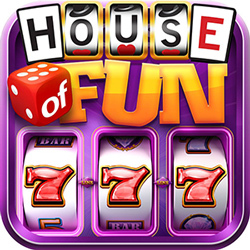 We love to create new House of Fun - Slots forum categories for you to post. Any Idea? Catagory: What games are hitting right now? I was doing pretty good on the fish,+ wolf game ? There all like the real Casino lol hit or miss honestly! Gotta get Lucky seriously!! Fishing frenzy! I mean,I like the fish game,the most!